How do I like my eggs? Umm, in a cake! LOL! There is something about cake that makes people beam with joy! I mean, cake is used for celebrating, or topping off a meal with something sweet, or, heck, even stress eating (totally guilty)! 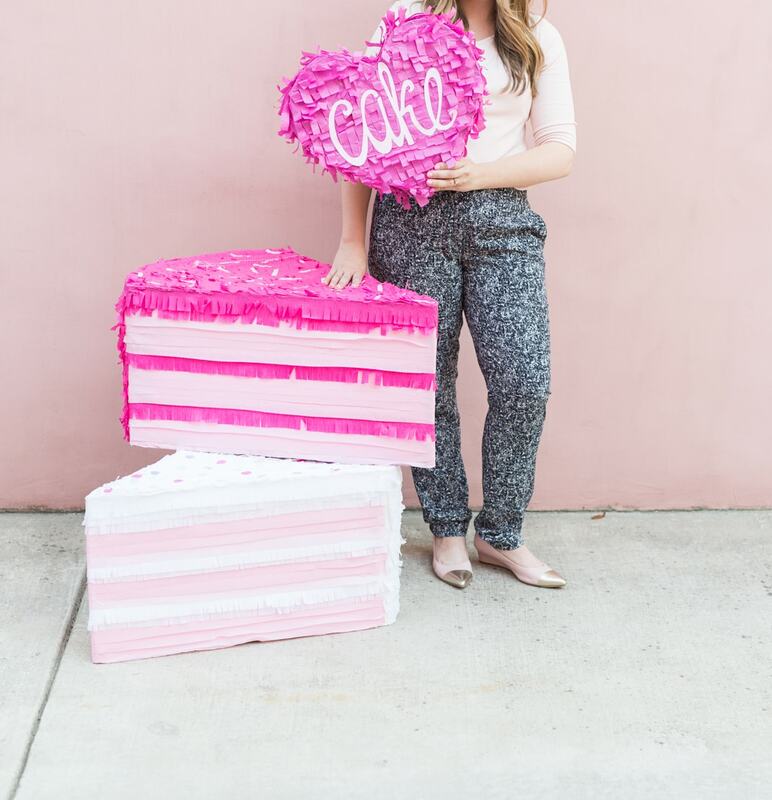 Whichever way you slice it or dice it, I love almost all types of cake (except the super rich kind from the grocery store)! On my birthday, I normally ask my mom or Andy to make me the cherry chip boxed cake mix and use canned frosting or grab something fancy from the local bakery. I know, I’m silly! But, there’s just something about that cherry chip that takes me back! Draw a heart shape onto half of the foam presentation board and cut it out. Trace another heart onto the other half and cut that heart out. Cut a candy hole on the back of one of the hearts. Cut about 3-inch-wide strips of the flimsy presentation board and tape them along the edges of each heart cut-out. At the center point of one of the heart cut-outs, cut holes, and tie a string for hanging. Tape the edges of the second piece of foam presentation board to connect the piñata. 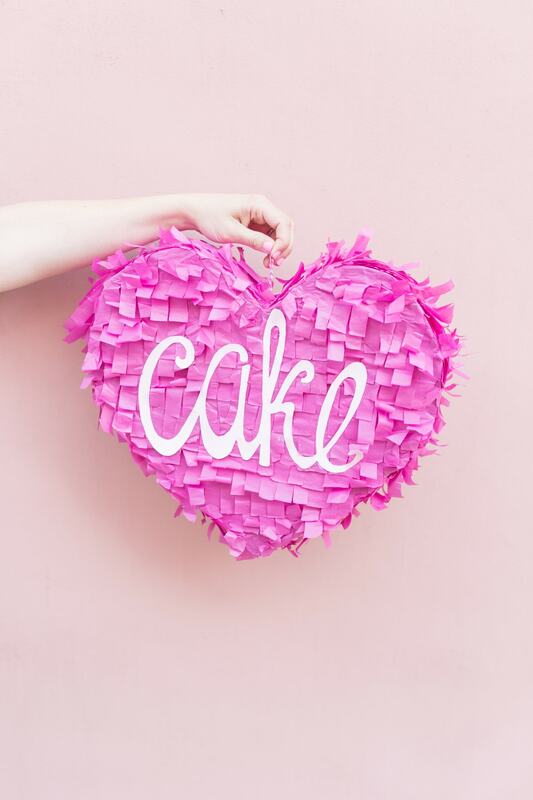 Glue fringed tissue paper along the edges of the piñata first, then move to the front and back of the heart. Draw out words with fun sayings or a name onto card stock paper and cut them out. Feel free to trace out printed letters or freehand it. Paint the letters your favorite desired color and glue them to the center of the heart. Fill your heart with candy and have fun with it! Pingback: Carrot Cake Cupcakes | Delicious Bakery Recipe!